This book is open access under a CC BY-NC-ND license. 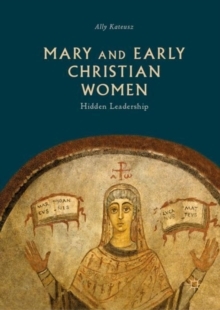 This book reveals exciting early Christian evidence that Mary was remembered as a powerful role model for women leaders-women apostles, baptizers, and presiders at the ritual meal. Early Christian art portrays Mary and other women clergy serving as deacon, presbyter/priest, and bishop. In addition, the two oldest surviving artifacts to depict people at an altar table inside a real church depict women and men in a gender-parallel liturgy inside two of the most important churches in Christendom-Old Saint Peter's Basilica in Rome and the second Hagia Sophia in Constantinople. Dr. Kateusz's research brings to light centuries of censorship, both ancient and modern, and debunks the modern imagination that from the beginning only men were apostles and clergy.